February 29, 2012  Two students have become the first black editors-in-chief of their college newspapers in Oregon, which has a black population of less than 2 percent. Host Michel Martin talks with Brandon Southward of Oregon State University and Tyree Harris of the University of Oregon. Affirmative Action: Is It Still Necessary? February 27, 2012  In a 2003 decision, the U.S. Supreme Court ruled to uphold affirmative action and said it expected that in 25 years, "the use of racial preferences will no longer be necessary." The court will hear a case involving race-conscious admissions at the University of Texas in the fall. February 25, 2012  The entire public school system has flunked; the Missouri Board of Education revoked its accreditation on Jan. 1. Decades of mismanagement and declining enrollment have broad consequences. The mayor says there is nothing he's supposed to do "that isn't some way affected by or built on education." February 24, 2012  A new case taking on affirmative action in higher education is set to be heard in the Supreme Court this fall. In 2003, the court ruled that universities could consider racial diversity in admissions. But today the make-up of the court is very different. Host Michel Martin discusses the case with two law school deans. 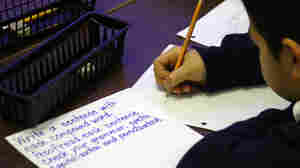 February 23, 2012  Many workers are considering whether a masters or doctorate degree will provide a competitive edge. Host Michel Martin explores the costs and benefits of getting one. She talks with Anthony Carnevale, director of Georgetown University's Center on Education and the Workforce. He was recently profiled in The Washington Post Magazine. What's Behind The Rise Of College Tuition? February 19, 2012  Once a relatively affordable option for many families, the cost of attending public colleges and universities is getting out of reach. Host Rachel Martin talks to NPR education reporter Claudio Sanchez about the huge rise in public college tuition as states face a budget squeeze. February 18, 2012  On Jan. 1, the Missouri state school board revoked the Kansas City district's accreditation. Now parents have a difficult choice: struggle to afford parochial or private school, move, or keep their children in a system that's been labeled a failure. In Today's Economy, How Far Can A GED Take You? 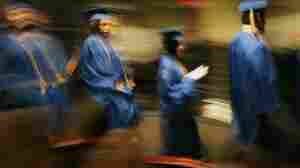 February 18, 2012  Each year, roughly 750,000 high school dropouts try to improve their prospects by taking the General Educational Development test, or GED, long considered the equivalent of a high school diploma. But the latest research shows that people with GEDs are no better off than dropouts when it comes to their chances of getting a good job. February 17, 2012  The men's basketball team at Jeremy Lin's alma mater, Harvard University, is making its mark on the national scene — and benefiting from powerful Ivy League recruiting tools: a stellar academic reputation and a big increase in financial aid. February 17, 2012  A spike in metal prices and a shortage of miners is opening up new prospects for high school graduates. While many students finalize their college plans, some in Western towns are being recruited to head underground. 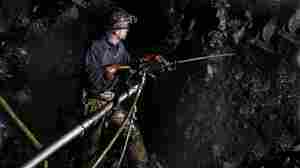 Although mining pays better than typical entry-level positions, it is still dangerous work. 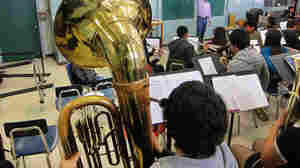 February 16, 2012  This school year, 23 tubas have been stolen from eight different high schools in and around Los Angeles — not something many of these campuses can afford. Police aren't sure where they're going, but one theory links the thefts to the local popularity of tuba-heavy banda music. Big Changes Ahead For American Schools? February 15, 2012  President Obama's 2013 budget calls for a $5 billion competitive grant to get states to overhaul teacher evaluations and training programs. Also, the president recently gave 10 states waivers from some of the rules of the No Child Left Behind Act. Host Michel Martin speaks with NPR's Claudio Sanchez and Kentucky principal Tim Roy. February 15, 2012  Charitable giving to the nation's colleges and universities reached $30.30 billion in 2011, an 8.2 percent increase over the previous year, a new survey says. The 20 institutions that raised the most received $8.24 billion. Stanford, Harvard and Yale topped the list.